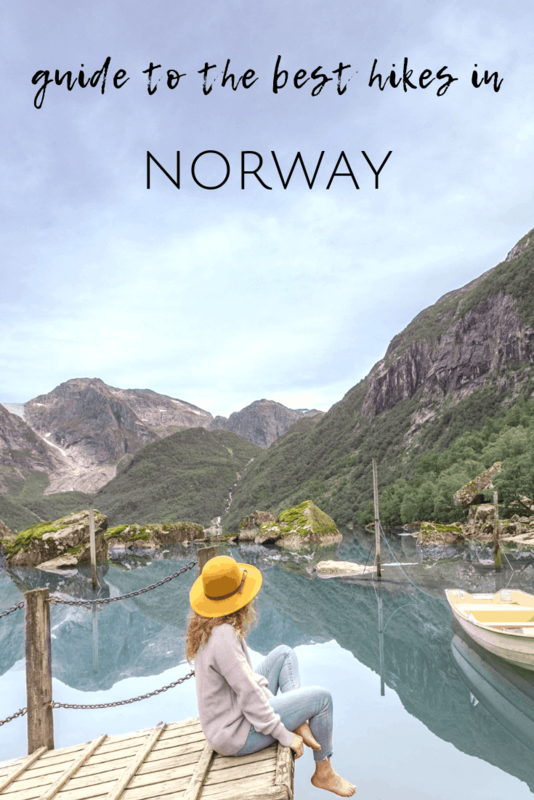 When you’re planning your trip, consider one or two hikes to add to your Norway hiking itinerary. 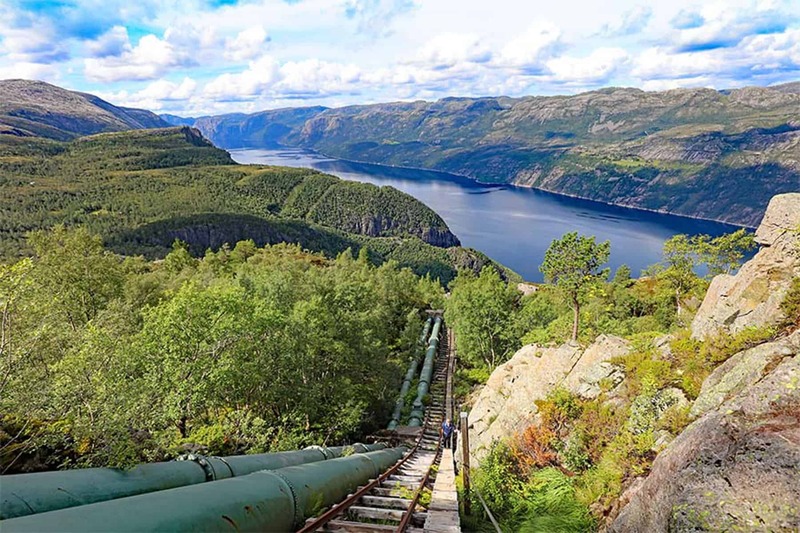 Norway has such stunning landscapes, some of it visible only via hiking trails. There are plenty of hikes scattered around the country because the country is quite large and has such a varied landscape. Make sure the trails you select are relatively near each other and not on opposite ends of the country as it will be nearly impossible to complete them in the same trip. 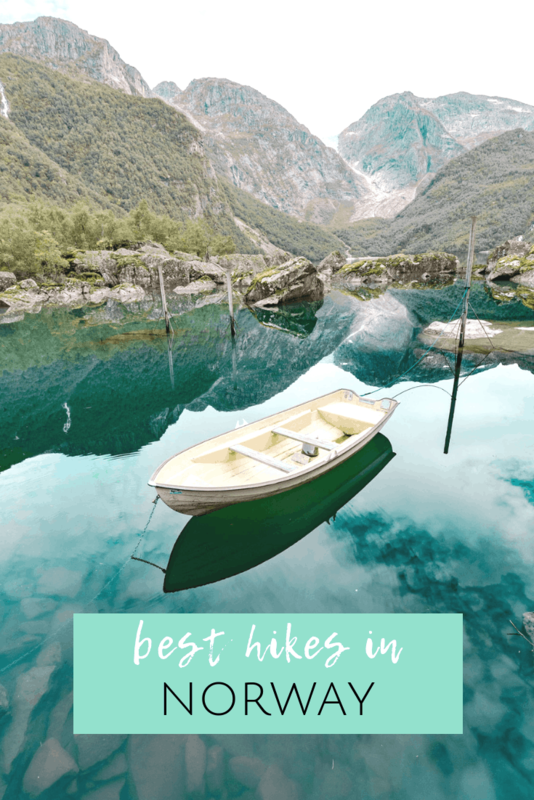 This post covers some of the most popular hikes (including Trolltunga Norway) and some lesser known yet still amazing ones to add to your adventure list. Langfossen Hike over Åkrafjord – This is a pretty intense hike as most of it is extreme uphill (to the point of mild climbing at points); however, once you reach the top, you realize every step was worth it. 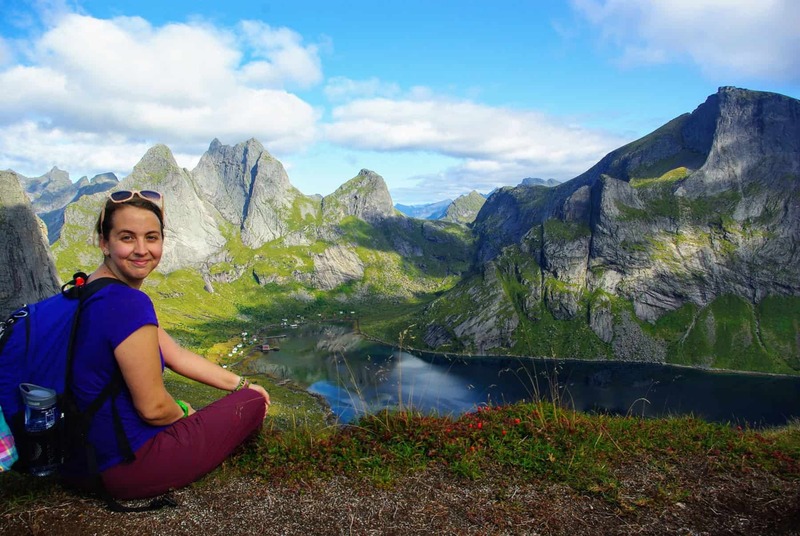 The hike weaves through beautiful Norwegian forests with views of the fjord along the way. 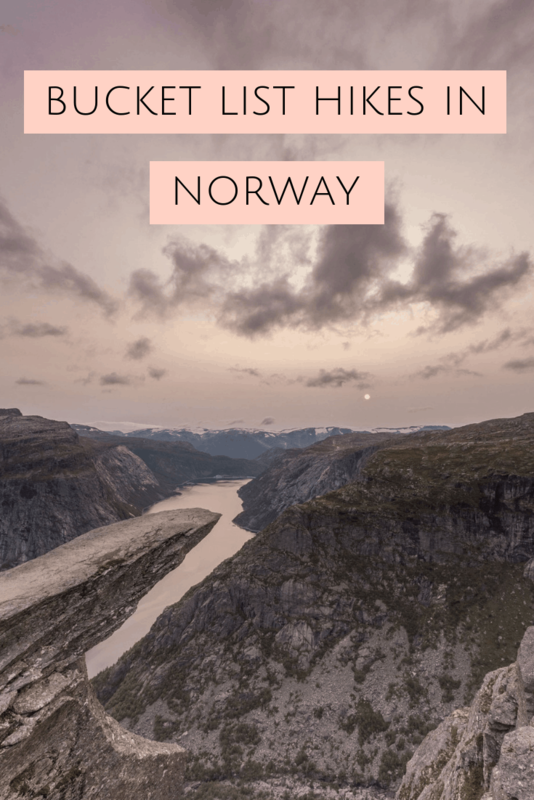 You can veer off the path to see a view of the waterfall or you can continue to the top for the ultimate view of the fjord. The total time there and back is about 4 hours, of course depending on your speed and the time you spend at the top. Hiking boots are highly recommended. Don’t forget to sign the book at the top! 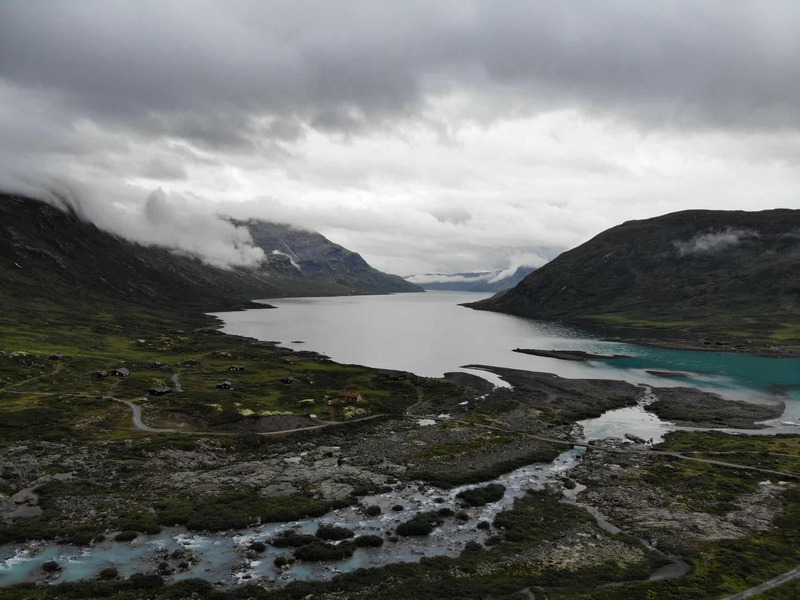 Bondhusvatnet Hike – This is a short hike in the Bondhusdalen Valley. It takes about 45 minutes to hike there and 45 minutes back. The trail is fairly easy with only a few hills. Hiking boots are not necessary for this hike; sneakers are adequate but be sure to bring a little water as there are no facilities on-site. 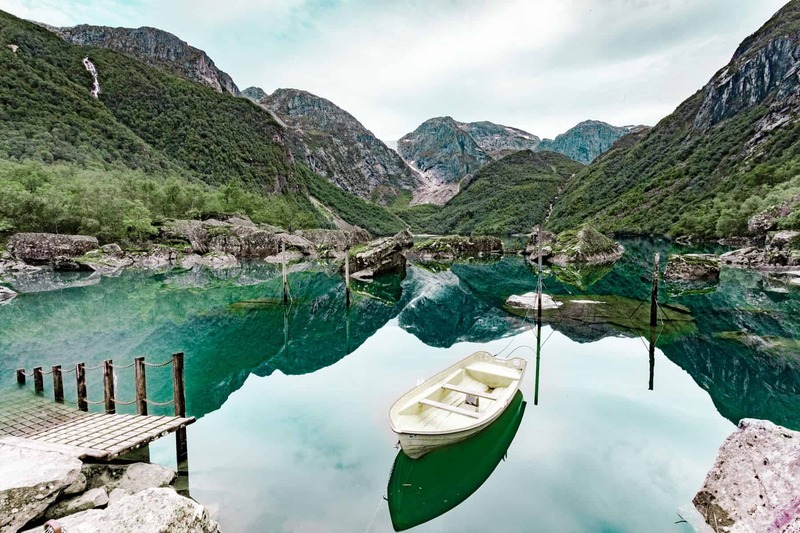 The hike ends in a beautiful lake with a lone boat and majestic mountain views all around. You can even see the glacier in the distance (and hike to it if you’re prepared). 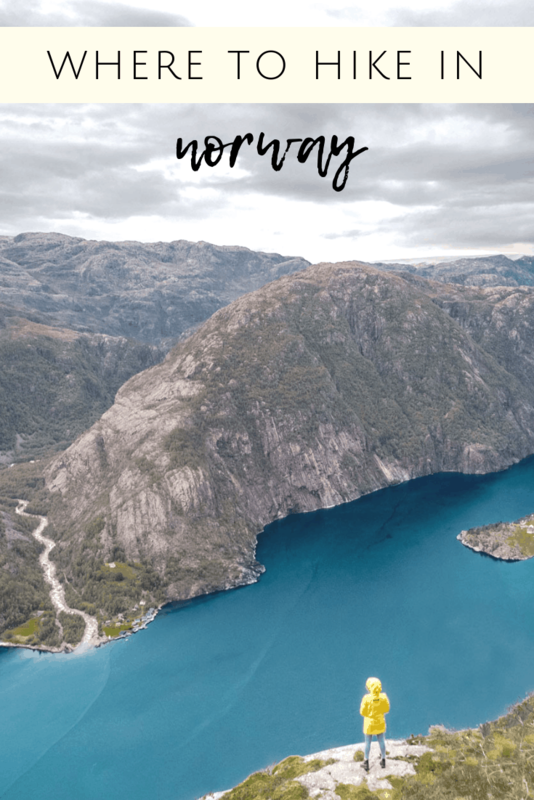 Florli 4444 Hike – If you are looking for a truly epic hike in Norway, consider climbing the world’s longest wooden staircase, Florli 4444. 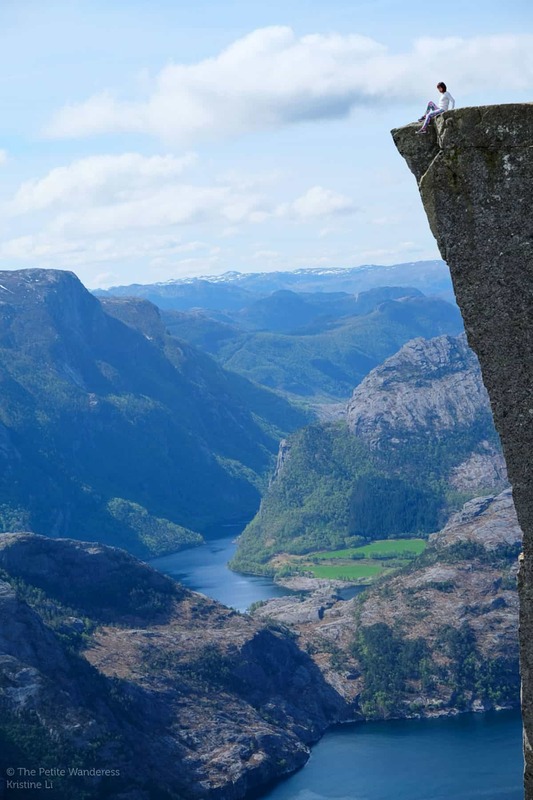 It’s a challenging hike in Stavanger – the Ryfylke region in southwest Norway. As the name suggests, there are over 4444 steps to negotiate before you reach the top. 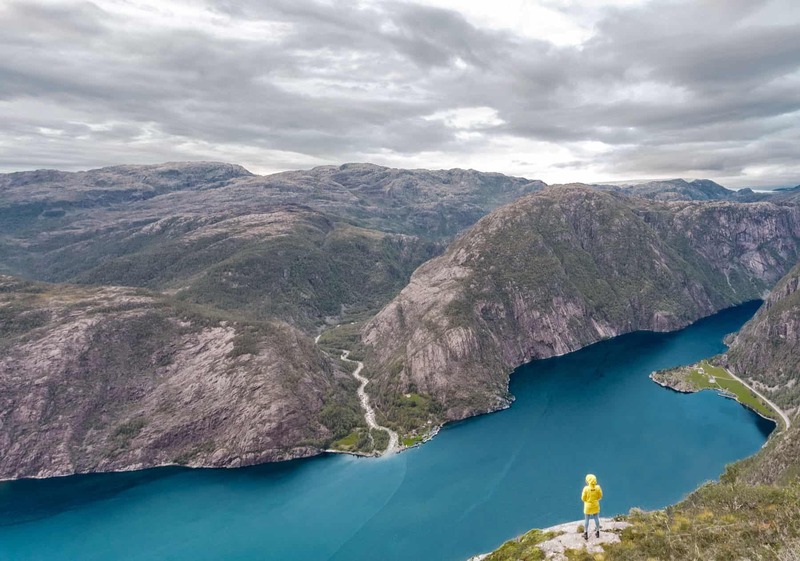 The views over the beautiful Lysefjord are amazing; you have plenty of opportunities to enjoy them because this hike literally takes your breath away, forcing you to stop and absorb the scenery. 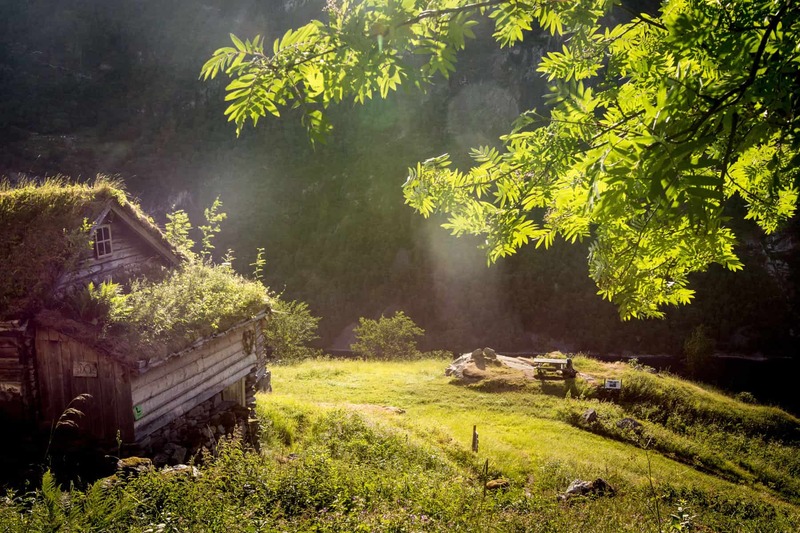 Skageflå Mountain Farm – The farm is situated on a 250 meters (820 ft) tall cliff above the beautiful Geirangerfjord. 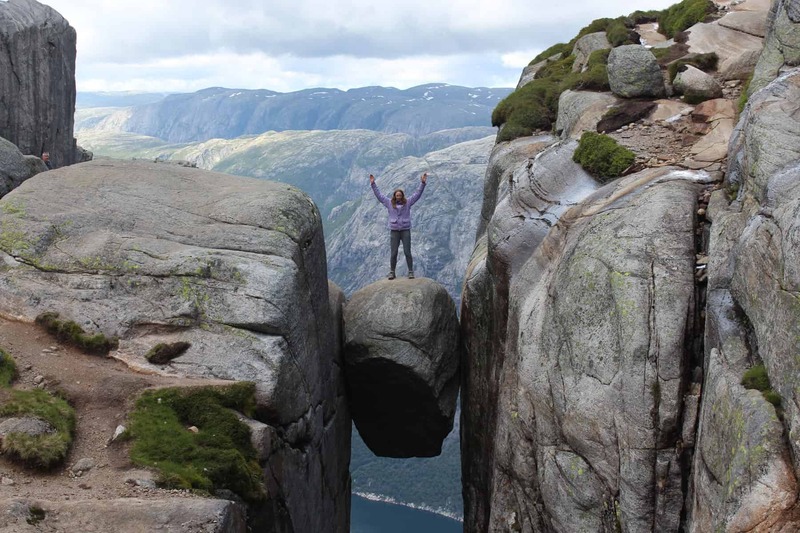 Helvetestinden – translates to “Hell’s Gate” in English. Location: Lofoten Islands, Norway. Difficulty level: Intermediate. Fabulous list! 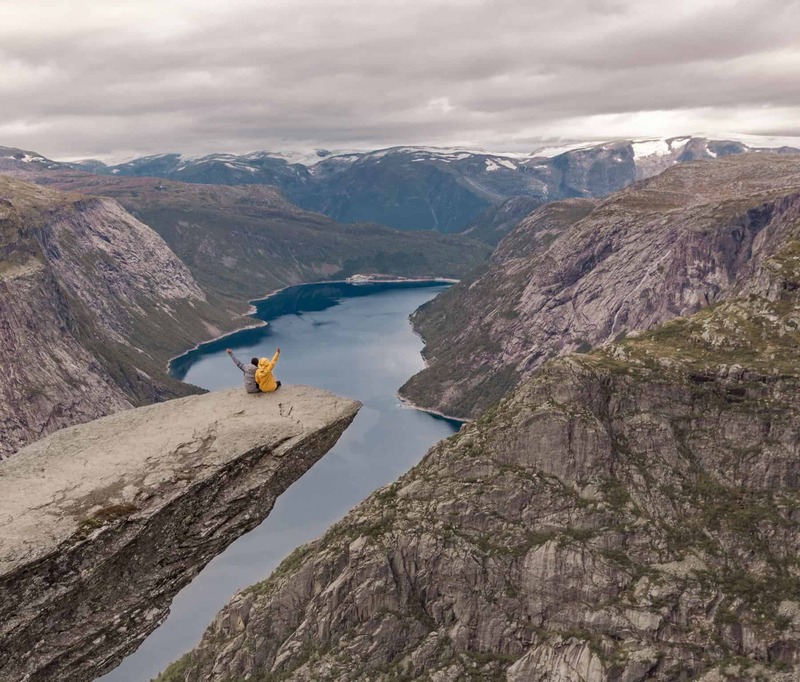 Norway is high on my bucket list and I know I’d do a couple of these hikes. It’s a beautiful country to visit! 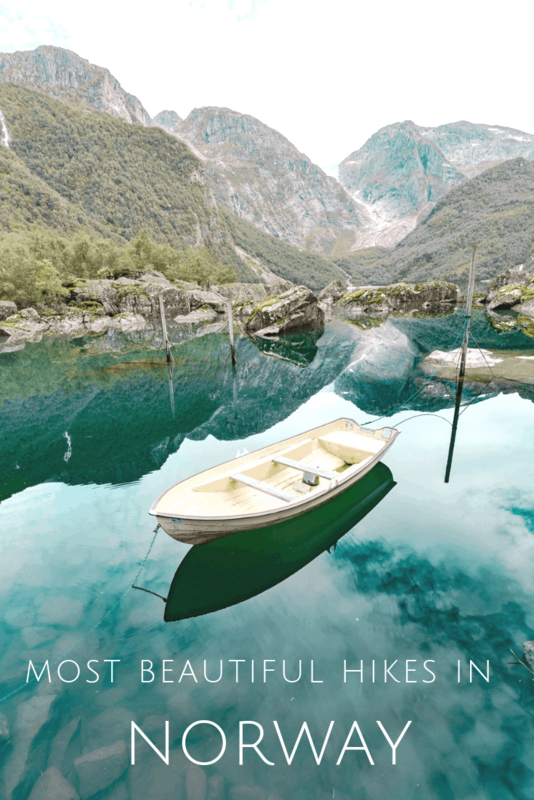 Norway is my love. My husband and I have spent a month there this summer and can’t wait to return and cover all these hikes you are mentioning. There were so much to do that we didn’t even get to go on a proper hike. Hopefully soon! I was shocked at just how large of a country it is! You could probably spend half a year there and still have adventures to go on!